My mom's birthday is tomorrow. Unfortunately she lives in Florida so I won't be able to see her on her birthday but luckily we have a girls weekend planned for next week in Charleston, South Carolina so I will be giving her a big birthday hug then. I found the cake recipe at http://www.food.com. Everyone loved it. Prepare streusel topping for cake. 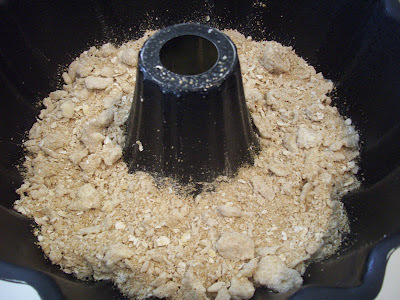 Combine butter, brown sugar, oatmeal, flour, salt and cinnamon in a bowl. With a fork mash the butter into the mixture until just butter mixture is crumbly. Spray bundt pan with PAM. Pour streusel topping into cake pan. 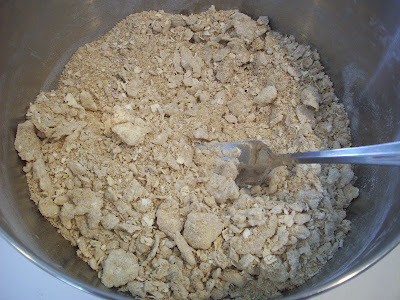 Sift together the flour, baking powder, baking soda, salt, cinnamon and nutmeg in a large bowl and set aside. 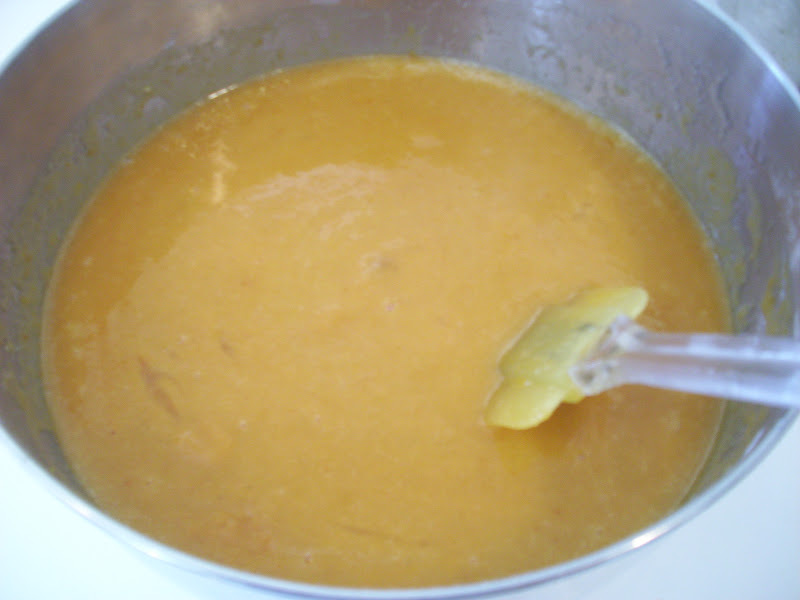 Whisk together the sugar, eggs and oil in a separate bowl until well blended. Stir in pumpkin, water and vanilla and mix well. 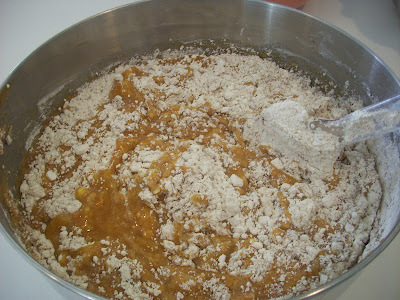 Add the flour mixture to the pumpkin mixture and stir until all the ingredients are moist. Do not overmix. Pour the batter evenly into prepared pan that already has streusel topping in the bottom of it. Bake about an hour until a toothpick inserted in the center comes out clean. Let rest for 10-15 minutes before removing from the pan. Place any streusel remaining the in the pan onto the top of the cake. Prepare glaze when cake has cooled. Mix confectioners sugar and milk until you reach desired consistency for drizzling over the cake. Oooolala....yum!...this recipe sounds great,so just slice me a great big piece and pour me a glass of milk and tell your mama Happy Birthday...yall will sure have a great time next weekend making wonderful memories,what a blessing! The cakes look wonderful, and reading the recipe - it must tastes super delicious! Okay, this couldn't look any better! Looks delicious! A perfect dessert for the fall holidays. Thanks for linking up at Foodie Friends Friday! This looks like a yummy, fall cake! What a great idea! 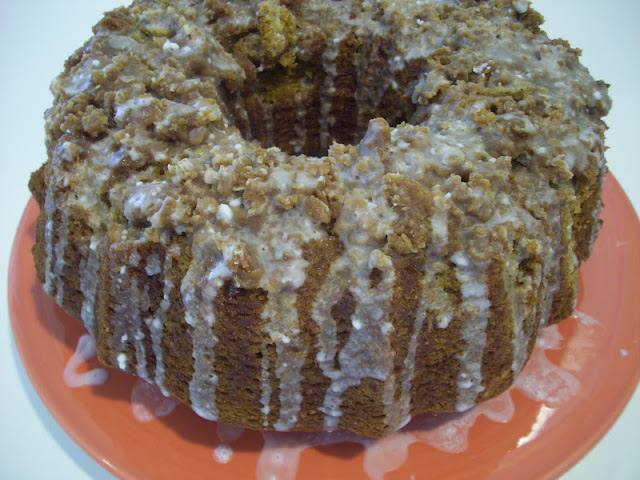 This Pumpkin Streusel Cake looks so delicious, we will love this cake. Enjoy your weekend and thank you so much for sharing with Full Plate Thursday. This sounds delicious!! I can't wait to try it! Pinning! Love! The best thing about any streusel cake is I can get away with having it for Breakfast, snack or dessert! Can't wait to give this a try! Gorgeous! I can't wait to taste this cake. I love a streusel topping. Thanks so much for linking up to Creative Thursday. Can’t wait to see what you share this week! Have a wonderful week. yum! I wish I had a bundt pan! Thanks for linking up to Tasteful Tuesdays. This awesome recipe is being featured at this weeks party. Please stop y and grab a featured button. This link will go live tonight at 8:30 central time. Love anything made with pumpkin Visiting you via Foodie Friends Friday Link-up!